The Lutheran Hunger Network is comprised of Lutheran Churches in the Central San Joaquin Valley who seek to address the issues of hunger and food insecurity. Our goal is to reach underserved neighborhoods. The Lutheran Hunger Network is utilizing the Community Food Bank "Neighborhood Market" program, featuring local fresh produce to promote good nutrition in our local food give-away programs. The produce will be distributed at no cost to individuals and families in need. 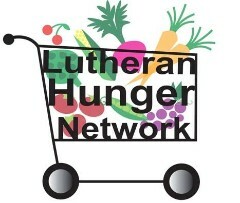 Visit the Lutheran Hunger Network on Facebook at www.facebook.com/lutheranhungernetwork.